On this week's recipe, I bring you some super easy but tasty! Great to kick off your weekend. 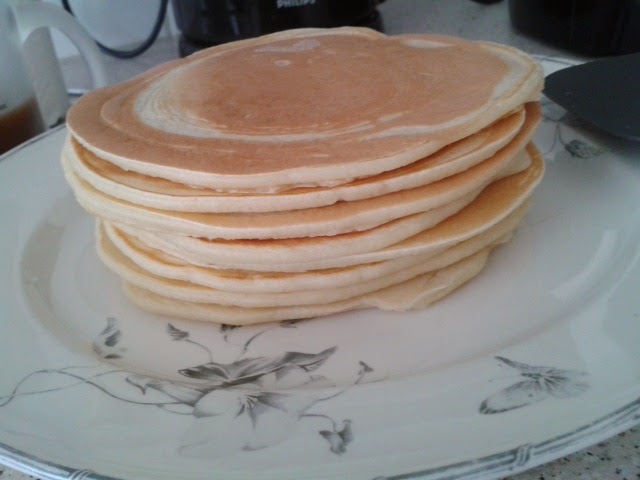 : PANCAKES!!! I mean, who doesn't like them?! These aren't too sweet but you can always sweeten them up, as you like. - Done! :-) Make sure your pan is hot enough. - Once one of the sides start getting some bubbles, flip them around. My favorite is honey and cinnamon but you can also jam, Nutella, caramel, fruit, sugar powder... whatever you can imagine! They go well with almost anything. Oh, and they are very spongy! Yummie!! !